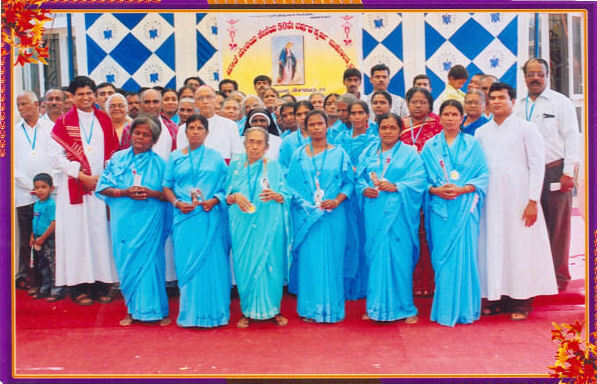 Being soldiers for our Mother Mary and as a tool for St. Mary Service. 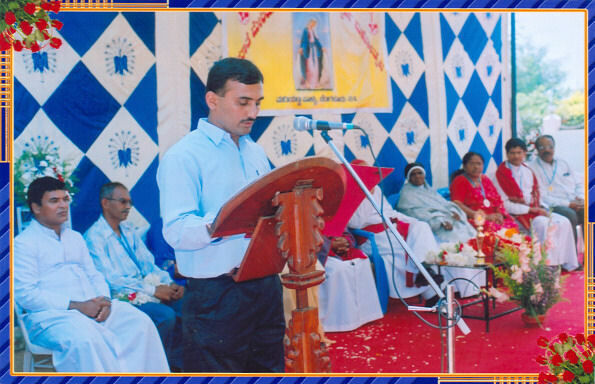 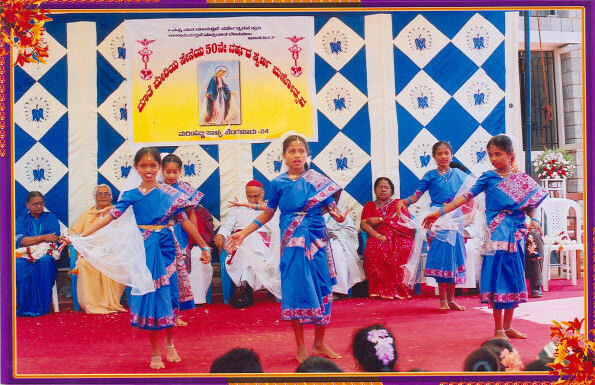 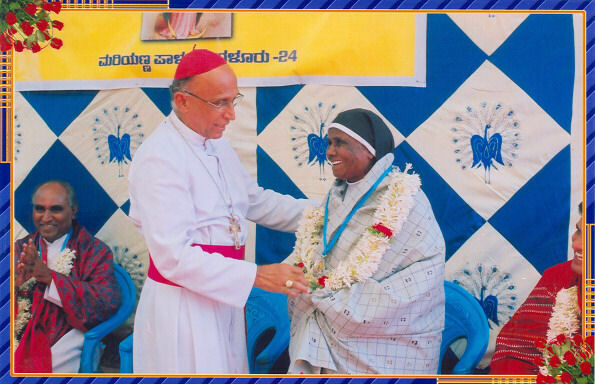 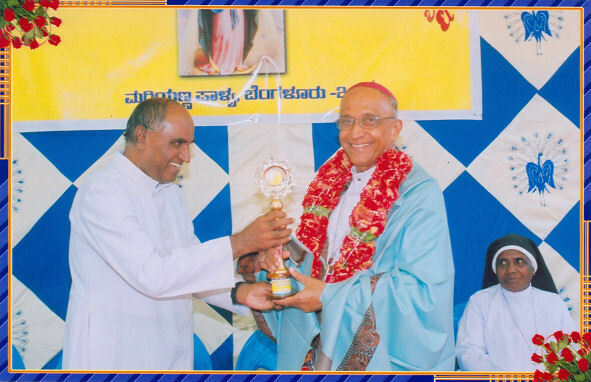 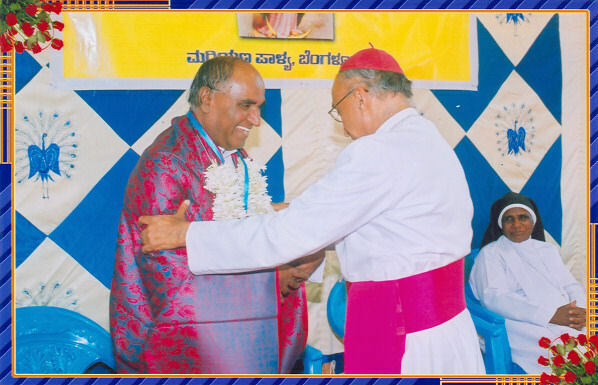 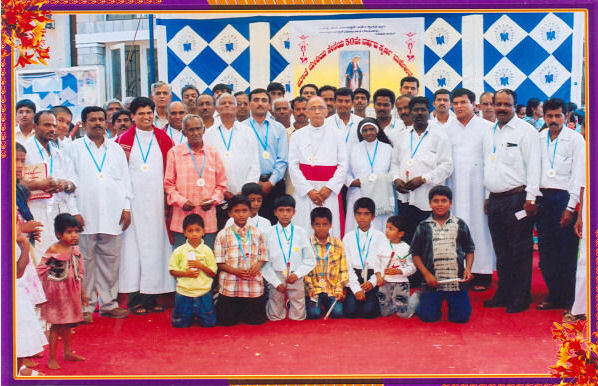 The picture was taken during the Golden Jubilee celebration of Legion of Mary in our parish from the Diocese of Bangalore in October 2006. 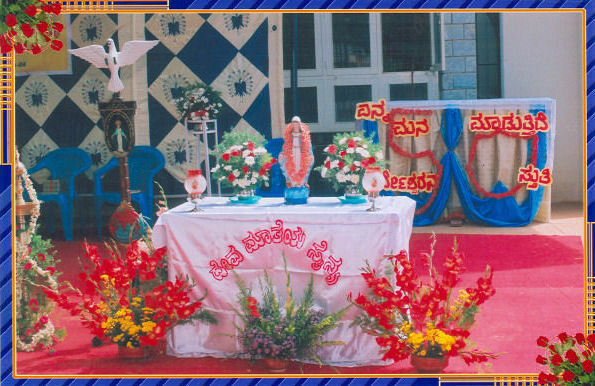 In our parish we have two senior and two junior presidum and our meeting days are every week Tuesday (Gents@7:00PM), Wednesday (Ladies@12:00PM), and Saturday (Junior@3:00PM).